Roth IRAs have experienced a number of legislative changes since their inception. For example, in 2002, 401(k) aftertax funds (basis) were first permitted to be rolled into an IRA—which could subsequently be converted into a Roth IRA. Then, in 2008, the rules were loosened again, this time permitting Roth conversions directly from a 401(k), without first rolling over assets into a traditional IRA. In 2006, although not directly affecting Roth IRAs, Congress authorized Roth 401(k) contributions for the first time. Unlike Roth IRAs, an individual did not have to satisfy an income test to meet eligibility requirements. Instead, everyone was eligible to make contributions to a designated Roth 401(k), account so long as it was offered by the plan. estate and legacy planning. In addition, the change created the popular “back-door” Roth strategy. Since the inception of this popular retirement vehicle, an investor who converted funds to a Roth IRA could at a later date change his or her mind and reverse the conversion through a technique known as recharacterization. In other words, a recharacterization allowed an individual to unwind or reverse a Roth IRA conversion. A Roth conversion triggers federal income and state (if applicable) income tax liability; by contrast, a recharacterization eliminates the tax liability. In addition, an investor may be eligible for a refund (plus interest) if taxes were previously paid. Anyone could initiate a recharacterization for any reason. It was almost too good to be true. Under the original Roth rules of 1997, recharacterization offered an investor a method to reverse Roth contributions or conversions for those whose income exceeded the limits as the contribution or conversion shouldn’t have occurred due to being ineligible. At first, the rules required an investor to satisfy an income test for both Roth contributions and conversions. Since 2010, only Roth contributions are subject to an income test, whereas anyone regardless of household income is eligible to convert. In 2018, as part of the Tax Cut and Jobs Act, recharacterization of Roth IRA conversions from traditional IRAs and qualified plans (e.g., 401(k)) was repealed. As a result, all Roth conversions taking place on or after January 1, 2018 are irrevocable. But recharacterizing Roth contributions is still permitted. For instance, a traditional IRA contribution can be recharacterized to a Roth IRA contribution and vice-versa. Prior to January 2018, an investor had four available recharacterization options including: (1) traditional IRA contribution to a Roth IRA, (2) Roth IRA contribution to a traditional IRA, (3) conversion of traditional, SEP, or SIMPLE IRA and (4) qualified plan (e.g., 401(k)-to-Roth IRA conversion to a traditional IRA). Under the new rules, the list of options has been reduced. Why Would Someone Recharacterize a Roth Conversion? Common reasons to consider recharacterizing a 2017 Roth IRA conversion include: market loss—if the amount of your Roth IRA is valued less today then the fair market value the day it was converted, consider recharacterizing. Why pay income tax on an investment that has lost value? Also, it’s possible you are in a lower marginal tax bracket this year (2018) due to tax reform. Consider recharacterizing and subsequently reconverting. This strategy allows the tax liability to be associated with your 2018 income instead of 2017. Other reasons for recharacterization include the painful discovery that the federal and/or state tax bill is much higher than anticipated. Tip: An individual is permitted to reconvert after recharacterizing. But certain timing rules must be followed: you are required to wait until the calendar year following the original conversion or more than 30 days, whichever is longer. Does the End of Recharacterization Mean Roth Conversions Are No Longer Viable? Absolutely not, although it does place a greater emphasis on planning, especially in the face of a market loss, an inability to pay the associated tax liability, etc. Other reasons for thorough due diligence include: the potential of increased Medicare premiums (Part B and D); Social Security benefit taxation; the 3.8% net investment income surtax; and phasing out of means-tested government programs, as well as tax deductions and credits. Again, you must do your homework prior to converting because the decision is irrevocable, which could cause a tax “domino effect” that affects other benefits. 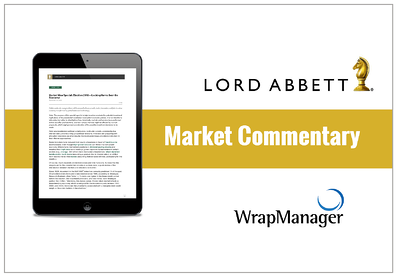 Download and review the entire explanation by Lord Abbett of the Roth Recharacterization Repeal and their list of what you need to know now.